President Trump held a rally Tuesday night in Nashville, Tennessee for Senate candidate Marsha Blackburn. President Trump thanked all of the Tennessee politicians for joining him in Nashville for the rally. 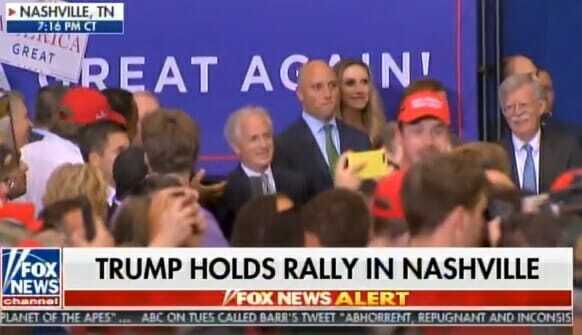 When President Trump mentioned Senator Bob Corker the ENTIRE crowd started booing loudly!